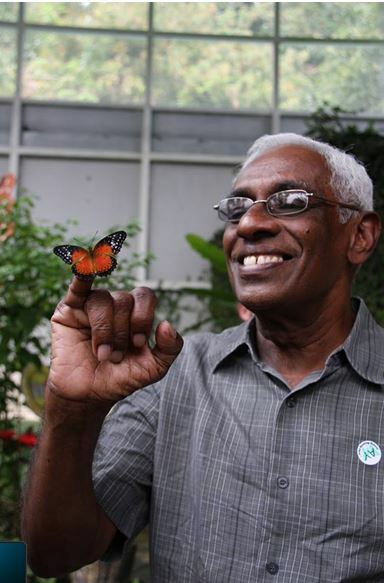 Colombo Telegraph is sad to announce the death yesterday (Aug. 11) in London of one its recent and most respected columnists, Lankanesan Nesiah. As a writer he used the pseudonym Shanie, a pseudonym derived from all six letters of his surname Nesiah, saying he did not wish to be “white-vanned.” His precision and the use of language through elegantly employed turns of phrase, were clearly from his father, Kunasekaram Nesiah. who was Head of the Department of Education at Peradeniya and, as a school boy at St. John’s, the proud recipient of the runner-up prize for essay writing in the British Empire. Lanka leaves behind his wife and first cousin Malathi (née Somasundaram), daughter Sangeeta (married to Benoit Pasquereau with their daughter Arundathi) and son Nagulan (married to Dhushyanthi Jayawardana with their daughter Aanya). The youngest of Mr. K. Nesiah’s children, Lanka’s siblings in order are Devanesan Nesiah (married to Anita Seevaratnam), Pushpadevy Seevaratnam (married to Frank Seevaratnam) and Nimaladevy Joseph. Born on May 17, 1940 Lanka schooled at Chundikuli Girls’ College to Grade 5 and moved during grade 5 to St. Thomas’ College when his father moved from St. John’s College Jaffna to teach there. Lanka excelled in sports (boxing and swimming) and studies at St. Thomas’ and read sociology honours at Peradeniya. Lanka’s father K. Nesiah, based on his wide writings and newspaper observations on the education scene while a teacher at St. Thomas’, had been invited by first Vice Chancellor Sir Ivor Jennings to teach at the university which was on temporary premises in Colombo. Then just before Lanka entered the university, as if to keep him under his mother’s loving care, the department shifted to Peradeniya in September 1957 according to his sister Pushpadevy’s recollection, and after a brief stay in the St. Thomas’ hostel, Lanka was back at home for his four year undergraduate sojourn at Peradenya. He graduated in 1964 or 65 with the last English medium BA class, the last class of BA graduates to secure high level positions. He is remembered for his comment that while studious Buddhist monks mugged through several books day and night to get an ordinary pass degree, he enjoyed life reading Time and other current affairs material that helped him understand society well-enough to get a class. After a brief stint in Jaffna, he joined People’s Bank as Branch Manager Paranthan. Moving to the Commercial Bank, he was Branch Manager Jaffna and soon rose to be the Loans Manager at the Head Office, just shy of the top, when his world collapsed during the 1983 riots. His residence in Mount Lavinia was burnt. He lost everything and barely escaped with his life. At St. Thomas’ as a refugee he witnessed one person being killed. He preserved his equanimity through suffering, escaped to Malaya where his cousin sister, Padma Kathiravetpillai, and other cousins and brother-in-law in Singapore helped him. Canada had open asylum for those like him, and try as his sister Pushpadevy did to get him to take a flight, he declined. For he knew that unlike those in the Middle East and other Third World countries, those going to western countries are unlikely to return home. His love for his country was as in his name in Tamil, the way he signed the marriage register as a witness to a marriage at St. James’s Church Nallur – Ilangainesan, or Lover of Lanka. Securing a job as a Bank Manager in Oman he rose again to the top and engaged in teaching and training locals to replace himself and other expatriates through night classes, while many expatriate officials ensured that locals never acquired the skills to take over. That was Lanka Nesiah. After retirement he returned to Sri Lanka where, as before, he threw himself into various activities. He worked for the YMCA and was a member of the Council first of the University of Moratuwa and then of the Open University. He took up full-time work as the Personal Assistant to the Bishop of Colombo. In faith he was Anglo-Catholic from his days at St. Thomas’ and could be seen genuflecting at the appropriate point of the Creed when worshipping in Anglican Churches of other traditions too. Within the family everyone turned to him and his brother Devanesan for help and advice. Lanka would remember every birthday within the family and turn up to wish the person celebrating. From placing obituaries to booking a van to go somewhere to getting someone wrongfully arrested out of prison, it was Lanka and his brother who always knew what to do. Lanka had strong LSSP sympathies from the old days when NM Perera on his trips to Jaffna in the 1940s and 1950s would hold meetings at the Somasundaram house in Chundikuli which was passed down to the Nesiahs as dowry. But after 1970 he was disappointed with the party as judged by his rarely speaking up for it among his impressionable younger cousins as before. Yet he never lost interest in social justice issues. When others started recording what happened during 1983 for example, it was difficult to get people to talk for they were in fear. It was Lanka who arranged through his extensive connections for those who witnessed the sordid events to talk to writers. It was his way to help quietly and anonymously. He became best known as Shanie, a weekly columnist for the Island’s Saturday issues. Few knew who Shanie was but many waited for Saturday mornings to read him. His articles, always for the oppressed and well-argued, are available on the Internet and need not be reproduced here. As space for free expression closed in Sri Lanka, one or two of his articles failed to appear through the newspaper’s self-censorship without his knowledge. That is when he began writing for Colombo Telegraph. Unfortunately that short relationship between Colombo Telegraph and Shanie has now come to a close. Lanka was diagnosed with cancer of the lungs last October. He came to the UK for medical consultations and upon recognizing the rapid progress of the disease he stayed on in London with his daughter. He was to go to Sri Lanka soon and his wife Malathi went ahead to make their home down Milagiriya Avenue in Bambalapitiya ready for him. But the disease had progressed rapidly to the brain and Malathi had to hurry back. On August 11 at 3 pm, he passed away in the Oncology Ward at Charring Cross Hospital in London, having been admitted there 5 days earlier, when he suddenly needed more intensive nursing care. There are mixed reports on how much he suffered from this terrible disease. Reports speak of his being in pain when he went to Malaysia with Nesiah family members for a get together. Other reports speak of how he spent good quality time with his grandchildren, taking his granddaughter to Wimbledon to watch a tennis game just 2 weeks ago. He kept up with church and even wrote a letter reflecting on a sermon he had heard. Lanka probably hid any pain he felt to spread the cheer he was famous for. As he himself arranged, there is expected to be a cremation without ceremony in London followed by a funeral service at his St. Thomas’ Chapel in Mount Lavinia and burial of ashes with his mother and father at the Church of St. John the Baptist in Chundikuli. Shanie, Thank You for your words and thoughts; your articles were always a delight to read. Rest in peace. I always painted “Shanie” as a Sinhala woman from the extreme left! By speaking on behalf of the oppressed he fulfilled his duty towards mankind, his nation and his Lord. May he achieve eternal peace in the arms of the Lord. Like many I used to be fascinated by Shanie’s well written Column. I asked a friend, who by nature of his work in a famed think-tank, of the face behind the pseudonym. He presumed it was a member of the highly cultured Nesiah family but did not know it was Ilankainesan. of Sri Lanka – and we are all poorer by this enormous loss. It is an indictment of our times that such a talented man of peace and his family too had to endure that baptism of fire that spared none of us of our generation. By all accounts he has lived well in line with the call of his religion – having contributed so much for those around him across the ethnic divide. I knew Lanka quite well but never guessed he was Shanie. The column was sober, rational and a very good read. I send you a last salute comrade. I find, when I try to comment that there is a pseudonym for me registered, so I’ve obviously been reading and commenting, but I didn’t realise that Shanie was my teacher, Lanka Nesiah. This episode of his life has not been recorded. Around 1961, when awaiting admission to the University, Lanka taught at S. Thomas’ College, Gurutalawa. I remember him, at that point, as a most stimulating, very young, teacher, one who was liked by all. I later met him in Oman and at Bishop’s House when he was personal assistant to Bishop Chickera. What a captivating and appropriate picture of a wonderful person, a humane and committed personality. Thanks CT. It would have been better if I did not know who Shanie was. What he wrote to the Island newspaper was black-white rubbish. Island newspaper protected him when I wrote replies to his garbage against the Sinhala Buddhists. So finally even the Island could not handle his writings. Christianity and Marxism is a deadly combination. It is not that lethal compared to Sinhala/Buddhism as we have witnessed in the past 60 odd years. Oh well we are witnessing everyday. Rightly so. He did the honest thing. What is your problem with that? I assume you pride yourself for writing your own thrash. Please do continue. You are sick in your mind, Wijeyawickrema. You sound like an angry Tamil. C. Wijeyawickrema too believe he is a S.B. What is the difference between you and him? Shame on you!!! Didn’t your parents teach you that if you don’t have anything nice to say- to keep your mouth shut. Respect the departed you nasty old man. You obviously have had a bitter and unhappy life it seems! What a loss to us! Lanka, I wish i had known that you were Shanie so i cd have expressed my appreciation to you. How long long ago it is — the 1950s — when your sisters played badmington on the front lawn of your North End Campus house at Peradeniya. And I could see them from MY front lawn only a few houses down. Those seem to be halcyon days in memory, but there was darkness already then. W.S. Karunaratne’s tarbrush campaign(brought upon us by the MEP & turning undergrads into weapons of hate); the campus under curfew during the ’58 riots. Thank you (all too late) for your wonderful writing — we shall miss it, and you, sorely in these darkening days. Many thanks for what you have done for Mother Lanka. A true and more faithful Lankan than all our politicians put together. Requiescat in pace. A wonderful man from one of the most intellectual families in Sri Lanka. I had the pleasure of listening to his erudite niece only a few days ago at the Neelan Tiruchelvam Trust lecture. He was a contemporary of mine at STC and was a bit senior to me but I got to know him as a friend through a cousin who was his class mate. At College he was known as ‘Nash’ I was out of touch with him for over 20 years between 1965 and 1985 but soon made contact with him on my return especially as a member of the STC centenary group formed by the old boys who were at STC in its centenary year 1951. He was a ardent supporter of his Alma Mater. We of this group will miss him. A gentle person who loved his homeland.A real patriot of Lanka, despite the inhuman manner in which some of his countryman treated him. I am sure as a devout Christian he forgave those who trespassed against him. Rest in peace Nash- Esto perpetua. Nesiah Family as a whole has been a well respected and appreciated Family. As one who grew up in Chundikuli,Jaffna and worked as a priest there, I knew the father Mr.K.Nesiah and visited him in the 80s. Ist no wonder that Lankan whom I never met personally, lived and contributed for a better and peaceful Society in Sri Lanka. I Salute him a great Tamil and Christian and lanka-nesan. Yes..it is true that he lived and contributed for a better and peaceful Society in SriLanka.But you worked hand in glove with the Tigers and justified violence.It is the innocent Tamils who bore the brunt of the war,not you.You are living a lavish life in Germany.Catholics are ashamed of you. yes, as this writer mentioned the best way to honour him is to serve family, school, and Church as he did, and live for others in kindness and generosity of heart. Frankly,I never could guess who SHANIE was.His writing was excellent reading.I knew him at the STC boarding MillerChapman,though he was about six years senior during the years 1955to1960.Known then as Nash by all.Gentleman like Lanka Nesiah may soon be extinct from SRILANKA.Esto Perpetua Nash. Surely there will be many who would like to see a collection of the best of Shanie published. In print form, I mean. Not everyone is up to reading for long on the computer screen. BUT, of course they were TOPICAL & so would need CONTEXT, which may be rather a chore. If I were to do such a thing I would try to include a descriptive (basic) list of persons (a ‘rogues’ gallery, perhaps, tho that wdnt cover all the ‘cast’, of course), maybe place names (& let’s not get into a diatribe over that! ), too, & a subject index. And a list of sources, the marvellous wide-ranging quotations Lanka drew on to head many of his columns. 21 YEARS OF CRM (pub. 1993). One of the best kept secrets in the Island’s (I was almost writing Lanka’s) contemporary journalism. Was Shanie a she or he was the perennial question. There was some speculation about two years ago that came down the grapevine via a group of women graduates (“the Autumn Leaves”) of the Peradeniya University of the early sixties who met once a month, that Shanie was Lanka Nesiah, but never confirmed. Thanks to the Island and the Colombo Telegraph for giving us this column – a tribute to excellence in journalism in deeply troubled times. I have known the two Nesiah brothers and their father for over six decades. Nesiah senior was a founding member of the Jaffna Youth Congress in 1924 together with Handy Perinbanayagam, Orator Subramaniam and my father among others. Lanka Nesiah in many ways remained faithful to the ideals of the JYC. I owe a special thanks to Shanie who eloquently defended the organizers and me in particular (as chairperson) of the Rajini Thiranagama Memorial function held at the BMICH in 2009 some months after war’s end. Those who attacked us had gone paranoid, included a high profile commentator/writer who were apologists for the majoritarian state and who in their triumphalism probably thought that this will be another event to share in their vulgar expressions of victory. Shanie effectively marginalised them. I among others will miss Lanka, soft spoken but firm and enlightened in his views, at the numerous points at which we met, such as the Ecumenical Institute, left gatherings, the Church and inner circles of family and friends. I may add to Silan Kadirgamar’s comments and since Shanie’s unusual first name has been mentioned in the article, that his father K.Nesiah,a stalwart of the Jaffna Youth Congress and an inveterate opponent of GGP’s divisive and communalist politics and a champion of Swabasha, obviuosly named his younger son as “Lanka-Lover” as a tribute to a united Lanka and was steadfast in such convictions until the deluge of the 1950’s. That The Island newspaper (English) is part of the Sinhala chauvinistic reality is now all too well known. In addition to providing unlimited and unedited space to extremists like Nalin de Silva, we now learn here the paper did its own censoring of Shanie, one of its regular Columnist, as Shanie’s latter writing did not probably conform to the regime’s preferences. What a sorry comment on a newspaper founded by one of modern Sri Lanka’s finest liberal sons. It is a pity The Island choses to abandon its role as an instrument of the Free Press in the country. I have always viewed Island as a racist publication. I am sad such a good man had to pass away due to cancer. His wife Malathi and I were colleagues at the Sri Lankan School, Musket in Oman. She introduced me to her husband and we were friends.I always received favourable comments from him in my column “Gleanings” which I wrote for the Times of Oman.Even in Lanka I did not that was he that wrote a column for The Island.Whenever he meets me he used to ask me about my columns in the paper. I lost a friend who appreciated good things in life and encouraged people.I salute him and my condolences for his wife and children and their families. At least we know who are behind this in Colombo Telegraph only twisting the news as desired by its masters. Classic example of Tamil Diaspora in action. World is just a temporary lodge in our long journey through samsara .RIP shanie. @raj, Nawaz, Raju, Banda, This comment was removed by a moderator because it didn’t abide by our Comment policy. An exceptionally good writer in both verse and prose. I very much enjoyed his pieces on CT and The Island. His ancestral home in Chundikuli is around the corner from where I used to live but never met him. Very intellectual family the Nesiahs were. The body of Lanka Nesiah is lying in repose at W.Sherry Funeral Home, 87 Greenford Avenue, Hanwell, W7 1HA. A public viewing has been arranged from 4-5pm on Thursday, 15 August 2013. A private service of cremation for immediate family will be held the next day. The funeral service will be at 6 pm on 24 August 2013 at the Chapel of the Transfiguration, S. Thomas’ College, Mount Lavinia, Sri Lanka. A private service of the burial of ashes will be held in Jaffna later on in the month. In lieu of flowers or gifts, donations, if desired, may be made to the Lanka Nesiah Memorial Fund c/o the Diocese of Colombo, 368 Bauddhaloka Mawatha, Colombo 00700, Sri Lanka. The fund is designated towards need-based scholarships for students at S. Thomas’ College, Gurutalawa, Sri Lanka. 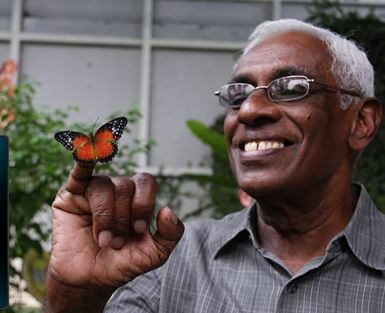 Lanka Nesiah’s first job, 54 years ago, was as a teacher at S. Thomas’ Gurutalawa. Remember Nash coming to STC Gurutalawa in 1962 whilst awaiting AL results. Taught for about 6 months and entered The University. Lost touch with him afterwards. He was an intelectual and a balanced person. Did not hesitate to put his point of view accross during dabates. Nash, till we meet again please rest in peace. For years I was trying to trace who Shanie was.Thank you for your enlighten ed comments ,factually accurate and which was always food for thought.I admired above his intellectual honesty which is unfortunately lacking in our society.At this hour we need many such bold intellectuals who are prepared to express themselves without fear. Lanka was a wonderful human being brilliant, gentle, and a gem of a person with noble qualities. A good hearted gentleman, he will be cherished and remembered for his infectious smile by all who knew him.